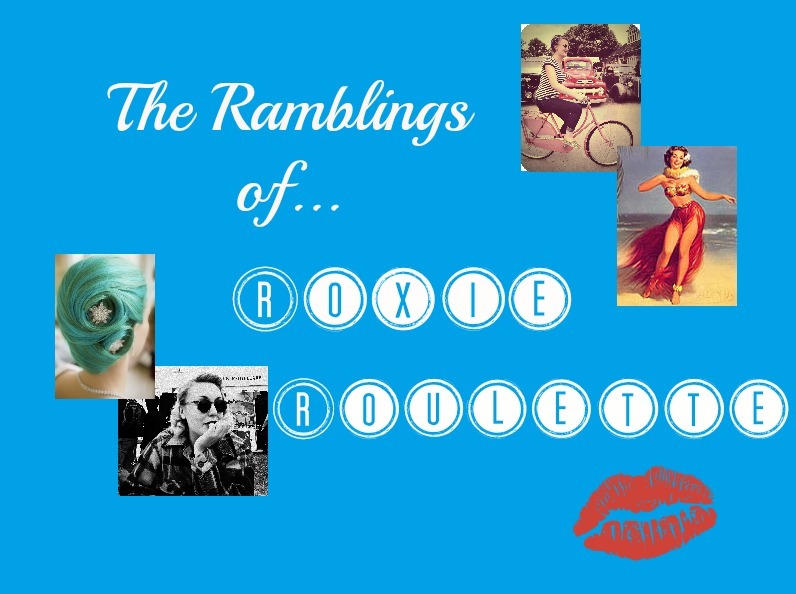 The Ramblings of Roxie Roulette: Bargain Booty. 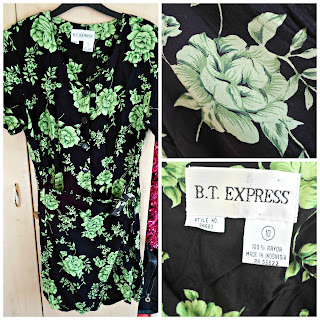 A couple of weeks ago - the 16th February to be exact, the same day as the aforementioned Speakeasy - I went along to a vintage kilo sale in Liverpool, ran by Little Red Vintage of Bold Street. 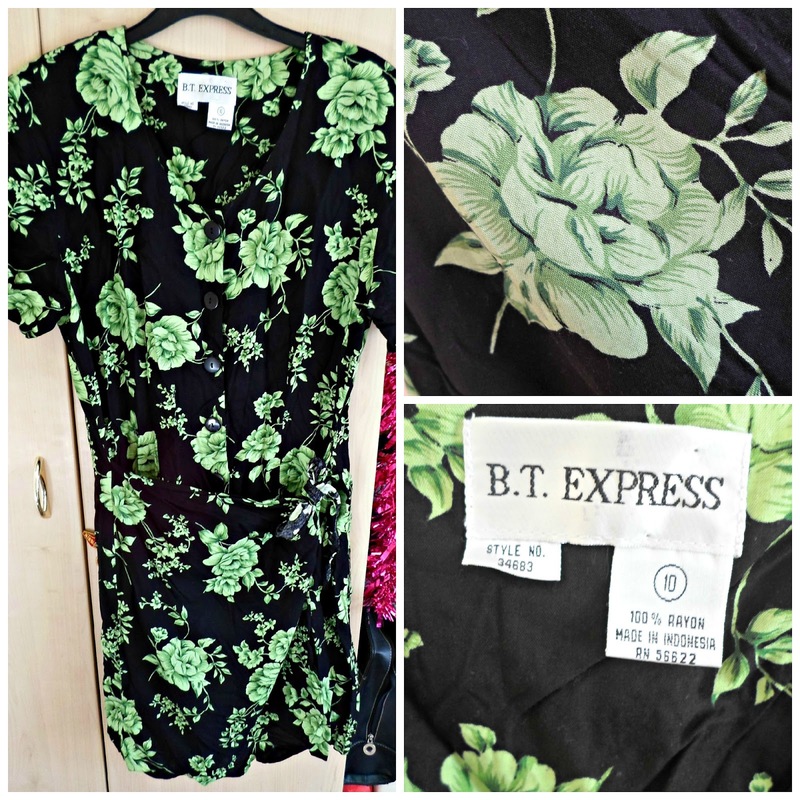 If you don't know what a kilo sale is it's basically a first come, first served basis and is a way of vintage shops to shift lots of stock quickly; you find garments you like, and you pay for them by the weight, this time £15 per kilo. Now, I must admit Little Red Vintage isn't my favourite vintage shop in Liverpool as I sometimes wonder if I've accidentally wandered into the wardrobe department of Midsomer Murders c.1997, but I was pleasantly surprised at the array of items available. Naturally, you're not going to find a mint condition 1930s ball gown at one of these events but there are plenty of later items along the lines of 'the 1980s does the 1950s' with most of the stock coming from the 1980s to the present. I did find a 1960s wedding dress, but as I have no purpose for one, and it definitely weighed over a kilo, I put it back - sadly onto a large pile which was going to end up on the floor, sob! Enough rambling about the event, what did I get?! In total I got four items, one of which doesn't fit me so I'll be selling that on some how, and my total spend came to £10.80! Bargain! A little out of character for me, I spotted this 1970s (I think...correct me if I'm wrong) crop top. Initially I thought of it as a birthday present for my sister, but then I tried it on...why yes, this would look lovely with a pair of high waisted denim shorts! As soon as the weather is warm enough I'll be throwing this on for a night out! This really is one of those items of clothing that looks disgusting on the hanger but trust me folks, this is a really nice playsuit. As a tall girl I find it hard to fit my long body into playsuits but this one doesn't cut me in half. It's green rose pattern on black give it a bit of a psychobilly edge, and the little wrap-over tie nips it in at the waist making it much more fitted. Right, so...this looks really creased (and it is!) but when I put it on the creases do stretch out. I'm a bit scared of ironing it because the material feels really delicate, and I have tried everything from using the hair dryer on it to putting it in the bathroom when I shower to steam out the creases but alas, nothing is working. This dress is a little tight in the ol' chesticle department - everything is on me! - but it does look fabulous when it's on. I love the detail in the skirt, and the layering hugs the hips whilst not clinging to the tummy. Finally the item I'll be selling on. This photo is cunningly deceptive into making you think that it is a shapely pencil skirt, but actually it's a frumpy wrap-around (this seems to be the theme of my purchases) skirt that is too tight at my waist but too loose at the bottom. But it probably cost me 50p so I'm not exactly complaining! And that's it! I did find some bargains so I'll be looking out for another event like this in the future but I'll save up my energy for the furious foraging that it requires!